As of ver1.2, Redstone++ supports all 1.11.x and 1.12.x versions with the same jar. As such the MC version has been removed from the filename. - Fixed Dispensers placing Oak Saplings, when Birch, Jungle, ect is in the dispenser. Redstone++ ver1.3 BETA-1 is an early Beta release for the upcoming version 1.3. While there are quite a few new features here, there are still some bugs that need ironing out. This build is being released for those interested in testing it, to locate and report any other bugs/compatibility issues that I'm not already aware of. DO NOT RUN IN YOU SURVIVAL WORLDS! - Improved Furnace Minecarts now better work with booster rails and will now act as chunk loaders, allowing trains of minecarts to travel an unlimited distance. - Improved Pistons have undergone a major rewrite. - Work has been done to open an API for modders in the near future to add custom push behaviors to blocks. - Patch file for 1.11.x have been dropped in this version due to issues porting some of the new features. They may return in a later version, but for now 1.12.x is required. - There is a strange rendering bug with pistons/rotators where culling is not being disabled in normal worlds. This causes one or more sides of a block to render invisible during movement. Superflat worlds are unaffected. I'm unsure why, still being looked into. - Entity Collision is not yet implemented for Rotators. Players/Mobs will fall through blocks that are currently rotated. Can now plant seeds and saplings. Can fill and empty Cauldrons using buckets and bottles. Can wash dye off Leather Armor (Require Cauldron with water in front). Can Milk Cows and Mooshrooms. Can also get Mushroom Stew from Mooshrooms. Will no longer Place Minecarts onto of Minecarts, causing them to glitch togeather. Can Pickup and Place Sponges/Wet Sponges. Is now a TileEntity, so it will keep items rather then dropping them. Items can now be shift-clicked into the Crafting Grid. Works with Hopper and Droppers. This works differently depending on weather or not the Crafting Table is powered. If Powered: Hoppers will only insert items into the Crafting Grid on slots that are completely empty and will pull items only from the crafting grid. The above changes make it possible to build automatic crafting tables, and even ones that can change their recipe, but you will have to think a bit about you redstone to get it to work right. Remember: you can now push Hoppers with pistons. Are no longer horribly glitched. They can push many carts, and players in carts uphill, can go around corners without stopping, ect. They now have a GUI with one slot for fuel. They can accept any fuel a Furnace could and will have the same burn time. Hold Shift-Click to start/stop it, Right Click normally to open GUI. You can Shift-Click with fuel in hand to fuel and start it without opening the GUI. Now works with Hoppers and Activator Rails. Hopper/Droppers can put fuel into its inventory and a Powered Activator rail will start it as long as theirs fuel. An unpowered activator rail will stop it. Behaves like a Slime Block on one side, and like a normal Block on the other. The remaining 4 side are "sorta" sticky. 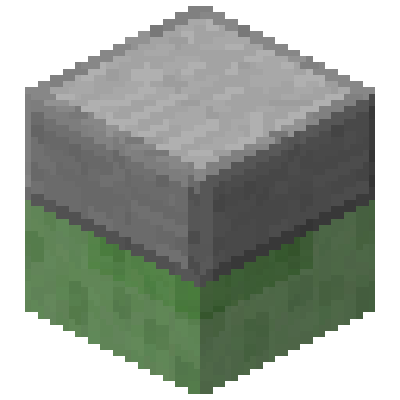 When pushed by a piston, blocks will stick to the all-slime side, but not the all-stone side. Only Slime Blocks and Half Slime Blocks will stick to the sorta sticky sides. Can be placed in any direction. Since Pistons can now push TileEntities, these were add so there are still Immovable Transparent Blocks. Can now be powered off using redstone. Can now be edited after placement by right clicking. Shift-Clicking while placing signs will no longer open GUI. Config Option to completely disable opening GUI during placement. All (Shortcut to Disable Nightfall, Weather, and Mob Spawning until enabled. A creative mode only block used to debug problems in other blocks. Whenever it's placed, right clicked, or is given a block update it will print out the registry name, position, block state, and tile entity date of the block beneath it to the console. This mod makes extensive use of Forge's Substitution Alias, and will likely crash with other mods that substitute the same blocks. The ability for Pistons to push TileEnties can cause strange problems or crashes with some blocks. All issues with vanilla blocks blocks have been fixes, but I cannot control issues of blocks add by other mods. If this is the case, you can edit the config of this mod to prevent pistons from pushing those blocks; either by making the immovable, or by allowing pistons to destroy them. You have my permission to include Redstone++ in a Mod Pack, provided that you pack includes at least 5 other mods, and you provide a page that: 1) lists ALL of the mods in your pack, 2) proves that you have necessary rights to distribute those mods, 3) provides a link to the home page/forum topic of each of those mods, and 4) provides proper credit the authors of those mods. Note: If you do use this in a modpack, I ask, but don't require, that you either make an abundantly visible, bold link to this page, or provide a wiki page explaining the changes this mod makes (at least the ones your modpack has enabled). Reason being: The changes made are very subtle, but significant. Players may want to use these features, but not even know there there. You may of course make review/tutorial videos of this mod without restrictions. Rails placed on top of packed ice will allow Minecarts to travel at triple speed; possibly causing the to derail around corners (Exactly like the 1.8 snapshots). Either build your rail carefully or don't place them on packed ice. Note: Changes listed here are considered high priority, but many are pretty involved. I'll get to them when I can, but it may take a while. Fixed a bug causing Crafting Tables to "freeze" when chunked are loaded/unloaded in dimensions other then the overworld. I *may* have also fixed some bugs...can't remember...probably fixed something. Fixed Pistons not being able to push more than 12 blocks when configured to do so. Fixed a few minor bugs. Sign can now be edited; (In older versions there was a bug the prevented them from being changed, that somehow went unnoticed until now). Crafting Tables no longer have flickering items in the results slot on servers. Config Options now take registry names, rather then unlocalized names. Blocks/Items/Entities are now correctly registered under the ModID "redstoneplusplus" rather than "sandro" -- This will cause world corruption: see notice above about upgrading. Note: This version is likely to be buggy. If bugs are encountered either disable Improved Crafting Tables or roll back to ver1.1b BETA-1 and report the issue. Tested against Forge 14.21.0.2373; since Forge is still in beta, newer versions may break it. Fixed a strange bug preventing Furnace Minecart GUI from displaying in rare cases. Since these issues were serious ver1.1 is now archived. Added a config option to disable Piston Substitution at the request of ecutruin; for at least some compatibility with Quark. Yeah... rotating tile entities still a no go for the current version. Can't wait when this is properly implemented. Love the idea. Every time I load minecraft it just resets the push limit back to 12. nothing changes. I've never seen this before. If your on Redstone++ ver1.2d the only thing I can think of that might cause this, is that your using Notepad to edit the config file. If that the case, try Notepad++. If your on Redstone++ ver1.3 BETA-1, reply to this comment and state that, it might be a bug. Notepad saves newlines as 0x0D (Ascii for Carriage Return), then 0x0A (Ascii for Line Feed). This is typical for old Windows programs, but it is in violation of the UNIX standard which just uses 0x0A (Line Feed) for new lines. 0x0D (Carriage Return) is considered an invalid character on UNIX systems (Mac, Linux, BSD, ect.) and it could also be that Java doesn't like it either and refuses to read it, thinking it corrupt. So Forge just recreates it. If this is the case you will need a Text Editor that does not add 0x0D (Carriage Returns) to the file. Any Text Editor on Mac/Linux would work. On Window people tell me Notepad++ is pretty good. My mods on Windows read the config files manually created by Notepad just fine, so there is nothing to do with Java itself... But I understand the fact that you use Mac so yeah. Could this mod have a GUI to do all of the configuration stuff? As you have seen some guys who have absolutely "no clue how to configure this mod". Oh, and have you seen MumboJumbo having fun with your mod? To me, anything in a GUI should be configurable by each player individually. All of the config setting in this mod are things only the server admin should mess with, which to me belongs in a config file. Also, most of them determine what is and isn't loaded when the games runs, so changing them in a GUI would require a restart to have any effect. Oh, and yea and I'm a fan of Mumbo. I've been watching his channel for over a year now, since just before HermitCraft Season V started. Have to say tho of all the Youtubers who could have done a video on this mod, I quite surprised he was the first. I guess since were talking about Mumbo, there were a few things brought up in his videos that I should prolly comment on. 1. The push limit on pistons is the only thing stopping the code from getting caught in an infinite loop. If it were unlimited, placing a piston underground and flipping the lever would cause the game to stop responding, eventually crashing on an out of memory error as the ArrayList for block to move continues to increase. 2. When a piston pushes blocks, all of those blocks change into BlockPistonMoving, which has a TileEntity and a TileEntitySpecialRenderer in order to render the block moving from on space to another and handle entity collision. This causes a notable amount of lag; the more blocks being moved the greater the lag. This is unavoidable. 3. The visual flickering of the blocks under lag is caused by a vanilla bug in the TileEntitySpecialRenderer, I patched it in the 1.3 beta; tho I introduced some unrelated issues I'm still trying working out. 4. I'm not too sure why entities fall through moving blocks under lag, I'll look into that as it should be fixable. 5. In his second video, he had issues making a chest feed tape. This is a flaw with my anti-triple chest collision checking and not a bug in vanilla. Horizontal Chest feed tapes work fine, but vertical ones have issues. I've been reworking the collision system to fix this. Currently 1.3 implements the system Quark uses where it just destroys the middle chest if a triple chest if formed; however, I would like to make it so pistons moving chest don't change connections as described in a comment I mad below. In vanilla it's acually possible to make a triple/quad/ect chest, and while it sorta works mechanically, visually it's very broken, with usually one chest rendering invisible and the GUI having all slots but rendering a messed up double chest inventory. 6. The ability to push chest, hoppers and dropper is cool and all, but the it's the ability to Dispensers that really, almost brokenly, powerful. Consider loading one with TNT and slapping it on a Slime-Block Flying Machine. Well for the configuration stuff, you could make the GUI only on the client side, it can simply take the player's inputs and rewrite them into the config file, after that ask them to restart Minecraft (like many other programs and OS's). And for the piston push limit, MumboJumbo just wants the number of blocks to be increased a little bit because it is blocking Redstoners from doing what they want completely, or else they must do it with a different approach. Finally I got an idea: If a piston can't push its head forward, it will try to push itself backward. A GUI will always be client-side; the server dosen't know what a GUI is. In order to have any chance at multiplayer the setting on the client's config must exactly match the server's config or the game will crash (Depending on the setting this may happen during connection to the server or later during gameplay). The fact that not everyone is aware of that is the main reason I don't want to make a GUI for it; the other reason being the extra work (It is more involved than a config file). Those that read up enough to edit config files likely know to copy them to each computer. At least on my private servers, there are two of us that know how to install mods, edit configs, and setup a server; and the rest of my friends...err well I'd rather not give them buttons that could cause crashes/connection issues if not set right. I completely agree with Mumbo, that the push limit should prolly be bumped up a bit. A limit of 24, or even 64 would have a very minimal performance impact and the increase is badly needed. However, it is a recursive algorithm and will get exponentially slower the higher that number is. His video show what would happen if it's really high (1000), I only wanted to explain what would happen if it was infinite and why this mod dosen't offer that option. Although this isn't currently available in the beta, I've been experimenting with a weight system, where each block would have a weight greater than 0. When calculating the limit, pistons/rotators would use the total of those weights rather then the number of blocks. Most blocks would have a weight 1, but some like wood, wool, and slime might have a weight of 0.5 for example, so they would only count half towards the limit. I just don't know about backwards pistons. They wouldn't be any harder to do then regular pistons (which is still hard); however, they would have some strange behaviors with redstone (powering a sticky(your variant) would push itself back, then immediately retract since it no longer being powered, then immediately push the block forward, the pull it back and so on, creating a pretty fast clock. Powering a sticky(mumbo's variant) would push itself back, them immediately pull itself forward, then push itself back again, and so on also forming a clock. ), and I really don't know what use they would actually have. You seem to have marked the latest file as compatible with everything from 1.11 to 1.12.2. Somehow I doubt that was intentional. When you run Redstone++, it will check the current version of Minecraft it's running under and then, using Java's Reflections Libraries, inject some patch files into itself specific for that version. Redstone++ ver1.2d contains patch files for MC1.11.x, MC1.12.0, and MC1.12.1/1.12.2 making it compatible with all versions of 1.11 and 1.12. So that was intentional. Can you add the feature that you can place normal chests next normal chests like in the new minecraft version 1.13? Not in the current ver1.3 BETA-1 snapshot, about to be released, but fairly soon. I've recently add a better system for pushing multi-block structures, and I would like to patch chests so that they save whether or not their double when placed by the player. In this way, pushing a single chest will remain a single chest regardless if pushed next to another chest, and pushing a chest that's part of a double chest will push the entire double chest. I'm not sure if it'll be exactly how 1.13 is doing it, but I'll change both 1.12 and 1.13 to work this way. 1.11 I'm having problems with, at this point I'm not too sure I'll continue to support it. As far as compatibility with other mods, I'll need to substitute BlockChest and TileEntityChest. The GUI and the TileEntitySpecialRenderer will likely remain the same. The chest blocks in 1.13 have a blockstate that stores whether a chest block is a single chest, or a part of a double chest. Cool, they I may only need to patch them in older versions. I need to see the code to be sure, but I won't be able to until Forge is in Beta. Can someone help me? I have no clue how to configure this mod. Install Forge and copy Redstone++.jar into your minecraft/mods/ folder, then run the game once. A file called Redstone++.cfg will be created in your minecraft/config/ folder. Edit it to change whatever you like. Note: Windows people seem to say that Notepad causes problems with Minecraft config files and to download and use Notepad++; idk, on my Mac TextEdit works fine. It wont let me edit it. When I click on it all it says is to look for apps to open .cfg files. You need to right-click and select something like "Open With" and then choose an application that can edit text files (*.txt). There will be a check box like "Always open with" that you can tick that will then allow double-clicking to work. On Mac select TextEdit. On Windows, as I said above, Notepad may cause problems, so you may need to download another one. Notepad++ (https://notepad-plus-plus.org/) is the one people seem to like. On Linux select whatever text editor came with your disro. Note: The program you choose must be a Text Editor (TextEdit, NotePad++, ect.) or a Code Editor (Sublime, Text Wrangler, ect.). A Document Editor (Word, Pages, ect.) will not work.